Join us on April 21st for our Easter Sunday Services! Sunrise services will be held at 7 am at the Carlton's Home. Our Morning service at the church starts at 10:45 am. 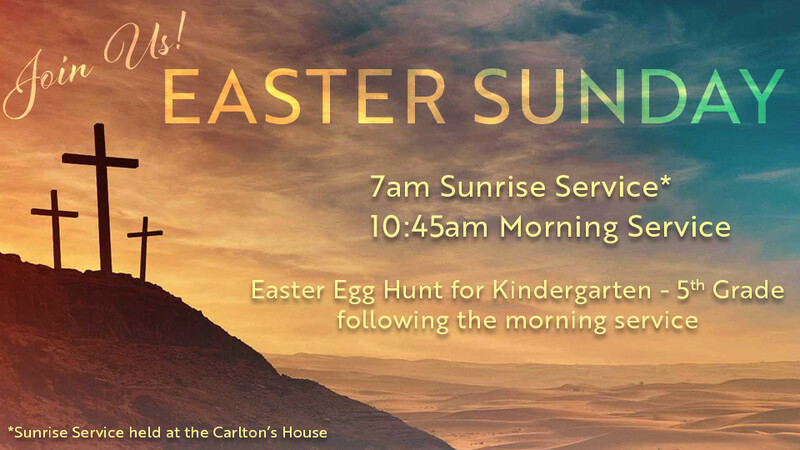 Following the morning service we'll be having an Easter Egg hunt for all children in grades K - 5th grade.